WHEN IS THE BEST TIME FOR YOUR CHILD TO START THE BRAINOBRAIN TRAINING PROGRAM FOR ABACUS AND MENTAL ARITHMETIC? The human brain is the most active between the ages of 4 and 10. Between the ages of 6 and 7, the brain cells are in the phase of intense and dynamic learning. That is why our programme involves children (4-14 years old). The best time to start the Brainobrain program is when the child begins writing the numbers from 0 to 9. The children that are the age between kindergarten and second grade have the best brain power to absorb and learn. It is somewhere between the ages of 4 and 7. This is the best time to nurture your child’s brain. This is also a critical phase when the child begins to learn the mathematical concepts and the idea of addition and subtraction. This is also the phase when the homework is easy. Parents should use this opportunity to further stimulate the child’s brain. Learning abacus by using the VAK (visual, auditory and kinetics memory) method is the most appropriate way for children to become familiar with numbers and basic math functions. The mental arithmetic will allow mental training and learning of complex mathematical concepts. All this will build a stronger foundation for the children’s future education. Perhaps, the information below will further help you decide when it is the best time for your child to start learning abacus and mental arithmetic. At the age of three, your child’s brain would be expected to grow to 60%. Your child has the strongest power to absorb at this age. Between the ages of 3-6, your child’s brain grows another 20%. The power of learning and absorption is not as strong as at the age of three. But your child will get surprising results if you give it a stimulating learning environment. At the age of 10, children have to work harder and be more disciplined in learning. 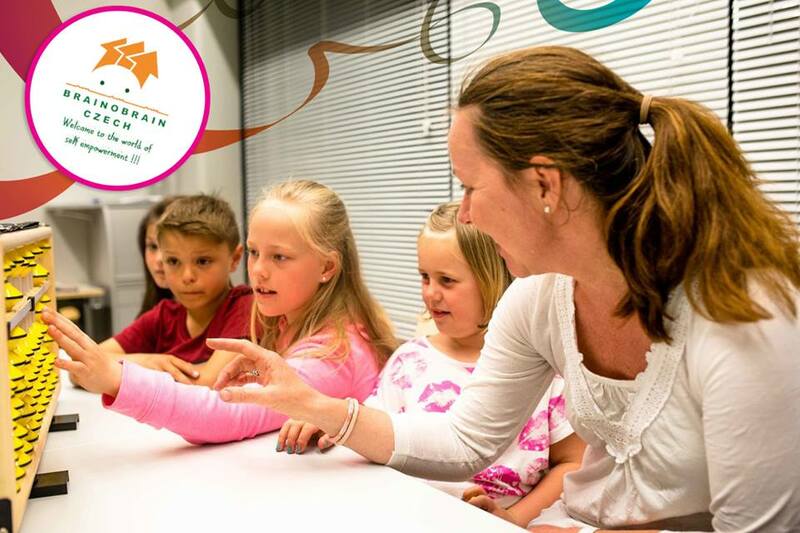 The Brainobrain program offers a wide range of mental activities that encourage the potential of the child’s brain and stimulate the process of learning and development in children at the ages of 4-14 years.